Family friendly instantly recognizable variety of songs spanning decades. Enjoyed by audiences of all ages. An entertaining blend of John Denver, James Taylor, Jim Croce, Simon and Garfunkle, and other classic folk and folk/rock artists. * High quality sound provided at a volume that suits your needs. So nice, so accommodating, and just an all-around pleasant and personable man. He made my parents anniversary party 10 times better than I imagined it could be. Thank you again Matt; you are wonderful, great tunes and great time because of it. Wonderful performance by Matt. Our seniors just loved it. The Annual Pennsylvania Firefly Festival has had the privilege and benefit of Matt's talent and generosity for 2 years. He consistently delivers an entertaining and engaging show. He uses his musical talents to revive the old standard folk/rock covers, and yet his originals seem like old favorites. My guests absolutely loved Matt and his music! Everyone enjoyed getting up to dance as well! He was perfect for our parent's 50th anniversary! He even took requests and played their favorite Elvis love songs! Matt has sung for us at the Historic Old Annville Day for the past two years and I recommend him highly. His repertoire is vast and varied, including some of his own compositions. And, his arrangements of popular covers make you want to listen like you’re hearing that favorite song for the first time. He offers that wonderful combination of business professionalism, musical ability and audience interaction we who book talent always yearn for but only sometimes get. He is prompt, he’s a joy to listen to, and he is not fazed by the little glitches that always pop up. Matt is obviously an excellent performer, but is very flexible and a great person to work with. I'd highly recommend him in a festival setting, and as the music coordinator for our town's Fall Festival, it's always nice that I've received many kind words about Matt's performances. Matt Miskie is a natural. He plays with a keen self-awareness revealed through both his music and his general demeanor: he is sensitive to the environment in which he plays; this speaks to honest musicianship. Matt is kind, receptive, and gentle with his music and with people. I hope to hear him again! 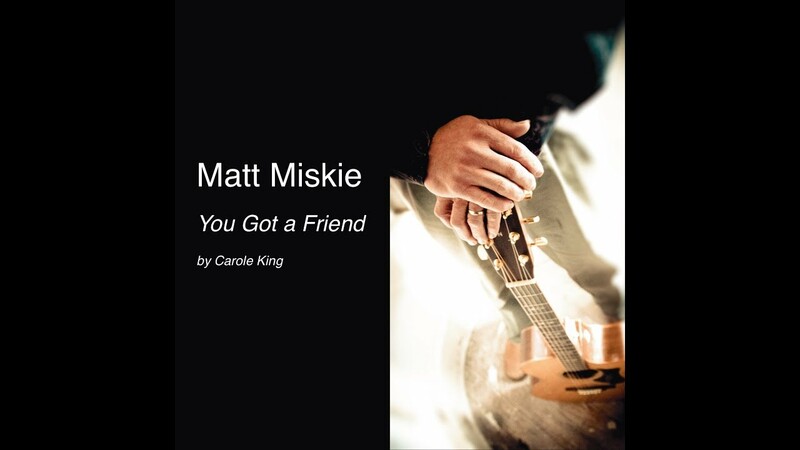 Miskie brought his folksy style to Duncannon, PA, delivering an interesting collection of original tunes about his love for nature, the outdoors, and his native Pennsylvania. His pleasant voice and engaging stage presence provided a fitting atmosphere for the Duncannon Appalachian Trail Community's celebration of the Appalachian Trail, that national treasure that passes through this rural Pennsylvania town. Matt is an engaging performer who is great with an audience. Conversant about his songs and their inspiration, he is a master storyteller and his set holds your attention. Speaking as a venue owner, Matt is a pleasure to work with. He is prompt, polite and professional. It is apparent that he cares about his craft and has put in the time to hone his considerable skills. I highly recommend him for whatever event you are considering a singer/songwriter for. Matt provides songs of varying tempo, mood and texture. He switches between flat top strumming and picking to finger-style guitar. His sets flow from song to song and his performances pack a lot of music and memories into the time allotted. He is engaging, easy going, friendly, and genuinely enjoys people. Matt is a stickler for high quality sound at a comfortable and appropriate volume for your needs as determined by you and your guests. Matt will provide a quality sound system suited for your venue or event. He is detail oriented, and a good communicator. He will arrive early and be ready to go well in advance of the start of your event. Set-up and take-down time generally only takes 20 to 30 minutes. Matt Miskie is a singer/songwriter and seasoned performer with very broad appeal. Repertoire is comprised largely of classic singer/songwriters and folk-rock classics of the 60's and 70's. Original music is similar in style, and touches on themes of family, relationships, and coming of age. He has been a featured performer at many major arts festivals and has performed at venues and events in Pennsylvania, New York, Maryland, Virginia and North Carolina. Matt's set up is high quality, yet simple to set up and take down. He will only require a single 110V grounded outlet. No special lighting is required other than existing ambient light. If the client is providing sound - a single microphone [Shure sm 57 or 58 preferred] on a boom stand, and a single DI will be required. Matt Miskie - typical set list - song order is interchangeable and selections may be added or deleted depending on the event/venue and audience. Matt's musical style is influenced largely by the singer/songwriters and folk/rock artists of the 60's and 70's including James Taylor, Simon and Garfunkle, John Denver, Crosby Stills Nash and Young, Creedence Clearwater Revival, Jim Croce, Joni Mitchell, Van Morison and similar artists. For events that are providing sound reinforcement, Matt will require a single vocal mic - Shure 57, 58 or equivalent with wind screen and boom stand. One XLR line to run from his DI, and a single 110 grounded outlet. If the event is outdoors, adequate cover is to be provided - such as an easy-up. If cover is not provided, please notify in advance so that protective gear for instruments and equipment can be brought along in the event of a weather event.